Teaching vocabulary is a vital component of instruction at every grade level and in every subject. Unfortunately, many teachers don’t feel confident in the methods they’re using to teach vocabulary to students. 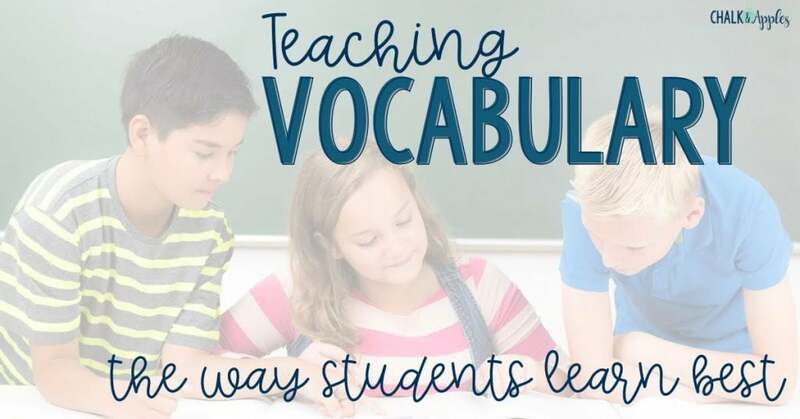 Fortunately, when it comes to teaching vocabulary, there’s a tried and true method you can follow to make sure your vocabulary activities are highly effective. 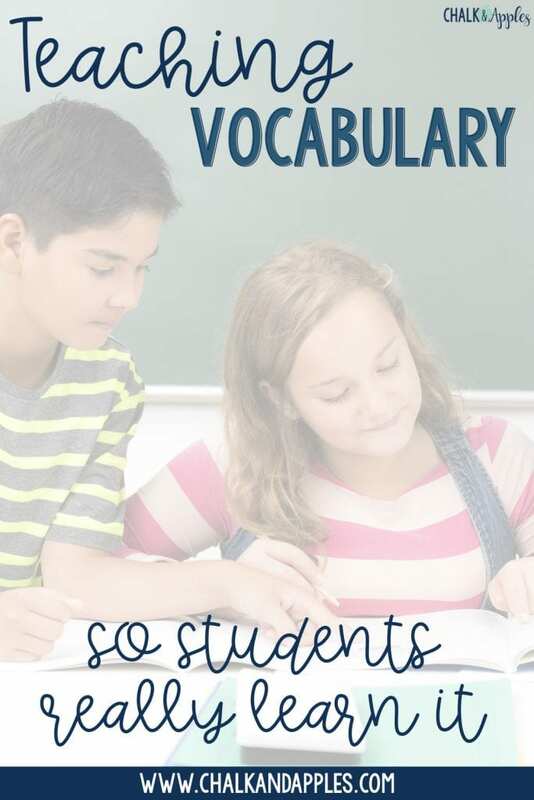 I have personally used Marzano’s 6-step process for teaching academic vocabulary for many years, and seen how effective it is for my students. 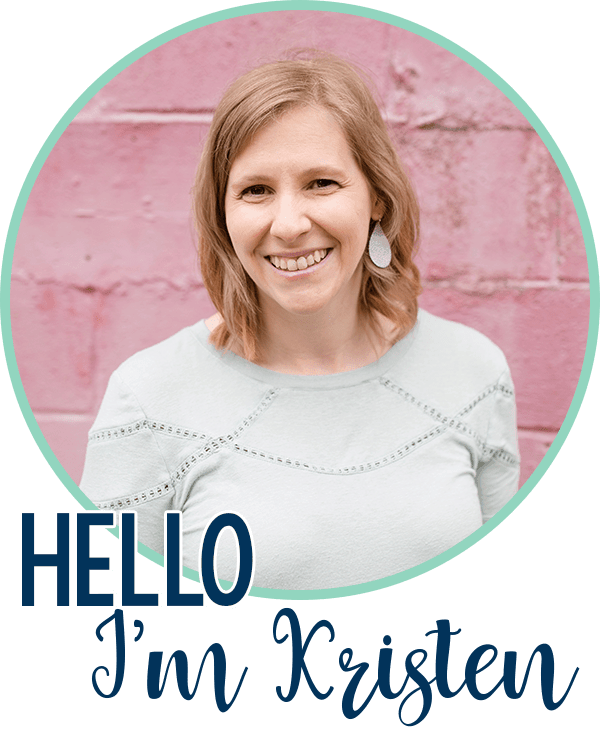 The heart of his teaching process is that students get both direct and indirect instruction and are exposed to the vocabulary multiple times, in multiple ways. Six steps may seem overwhelming, especially when you only get a few minutes a day to spend explicitly teaching vocabulary. But remember, you don’t need to do all six steps in a single day, and only a small portion of this is direct instruction. Many of the steps can be done in reading centers while you teach small groups. The teacher introduces new words. This has to go beyond just definitions. Relate the words to your students’ prior knowledge and discuss examples. 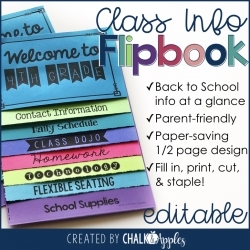 I recommend doing this as a whole group activity. Start by reading the word out loud. Ask students if they’ve heard this word before or what they think it might mean. Next, provide definitions, examples, photos, or sentences with the word. Depending on the word and on your students, you may choose to do all of these or just a couple. Since I teach vocabulary using Greek & Latin roots, after I introduce each word individually, I ask students what these words have in common. From there, we can discuss the meaning of the focus root for the week. Have students write a definition in their own words. 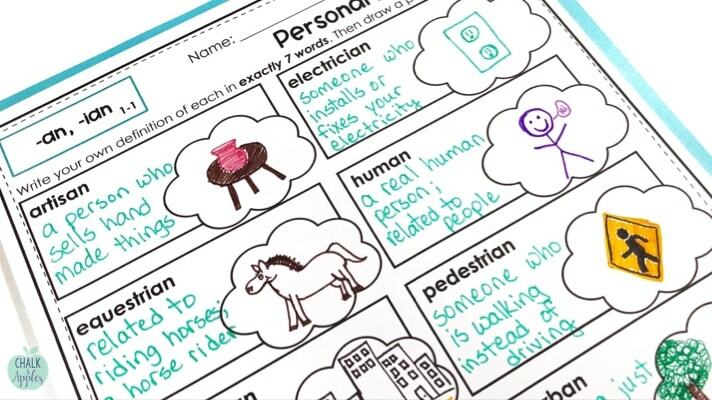 This activity is especially important for students because it requires them to think critically about the word and its definition and come up with another way to define the word. By restating the definition in their own words, and not just copying the teacher’s explanation, students are actively processing this new word, which helps them commit the meaning to long-term memory. The next step in effective vocabulary instruction is to have students create a visual representation of the words. While this may seem “too young” for our upper elementary students, it’s actually a vital part of your vocabulary instruction. Visual representations can be in the form of a picture dictionary (seen above), graphic organizers, pictographs, etc. 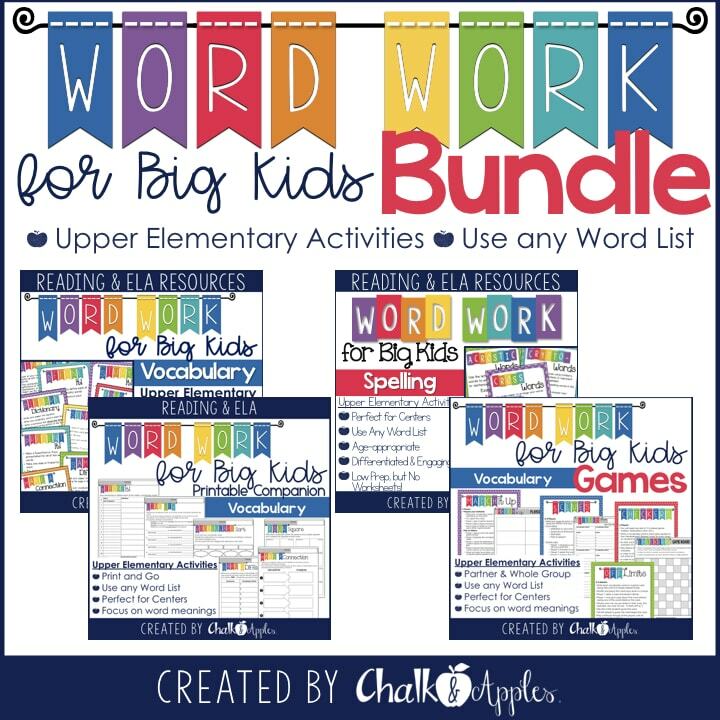 Because being exposed to the new words multiple times is so important, students need to be given opportunities to interact with the words in a variety of ways. 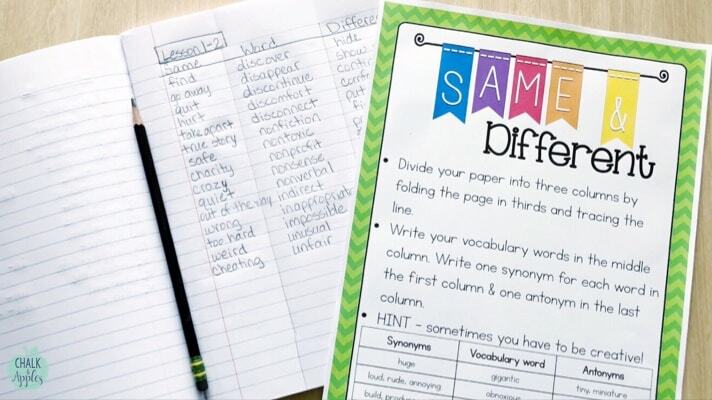 These vocabulary activities serve to deepen the students’ understanding of the words. Activities should vary between open ended and closed, giving students opportunities to build their knowledge as they practice. Teachers should also periodically have students discuss their vocabulary words in pairs or small groups. This can be accomplished through think-pair-share activities, with elbow partners, or in small groups. Which of these words is most interesting to you? Why? Where have you heard these words used in real life? Games are especially important for students because they provide practice opportunities with some unique characteristics. Games provide a manageable challenge students are eager to meet. They engage even reluctant learners because the outcome isn’t obvious. And last, but definitely not least, they’re FUN! 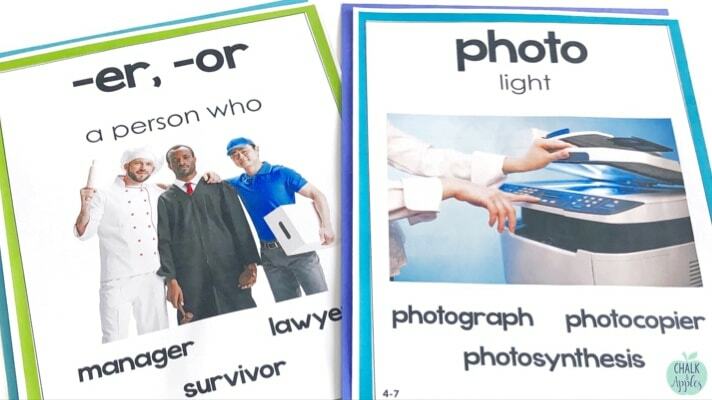 You can adapt many common games to use them with vocabulary words. 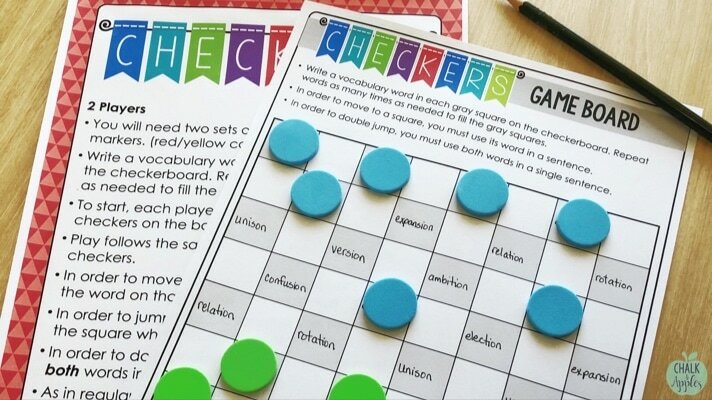 Charades, Pictionary, and even Checkers can be adapted to use for vocabulary practice. 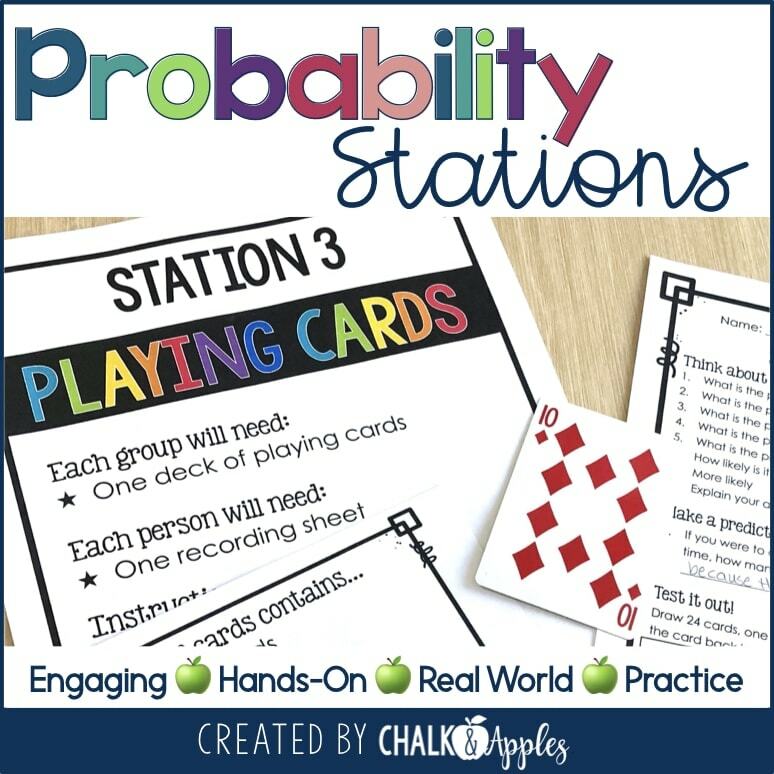 Regardless of the games you choose, make partner and whole group vocabulary games a regular part of your vocabulary instruction. Reference Marzano, R. J. (2004). Building background knowledge for academic achievement: Research on what works in schools. Alexandria, VA: ASCD. Hi I was wondering if you have the vocabulary sheet pictured in this blog for sale? The one where the students draw a picture? Hi! That’s part of my Vocabulary Roots program. The 3rd & 4th grade units are available now with that sheet included. 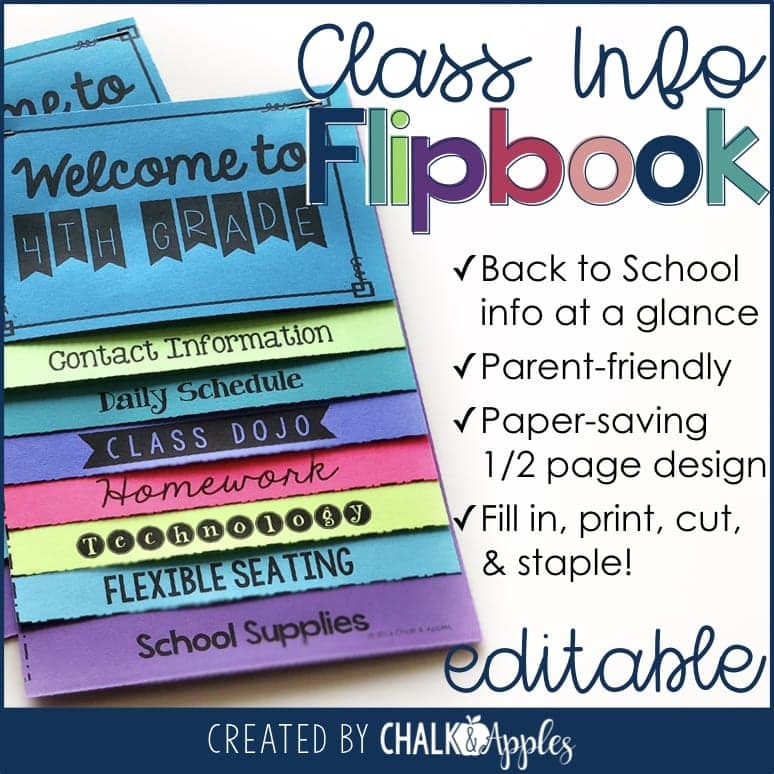 I’m in the process of updating the 5th & 6th grade units to include those sheets now too, so they should be available soon!